On August 17, enrollment opens for our all-new Maine Nursing Preceptor Education Program. The program is ideal for experienced, direct care registered nurses in Maine interested in becoming preceptors. It is a blended learning program that includes easy-to-use online modules and a one-day live workshop. The program is offered at no cost to RNs who have been recommended by their nurse manager/director to attend the program. Enrollment is limited to 190 participants. The program begins on September 16. To learn more about the program and see other details on enrollment, visit lunderdineen.org/preceptorship. We’re happy to announce that Lunder-Dineen was awarded a grant from Northeast Delta Dental Foundation for our MOTIVATE oral health initiative this spring. MOTIVATE – which stands for Maine’s Oral Team-Based Initiative: Vital Access to Education – is an innovative and Maine-tailored education program developed by Lunder-Dineen and a statewide advisory team. The program is developed in response to national calls-to-action from the U.S. Surgeon General, American Dental Association, Robert Wood Johnson Foundation and others to help raise awareness about the connection between good oral health and good overall health. 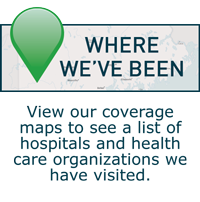 The project’s mission is to use the latest research findings to improve, promote and protect the oral and overall health of long-term care residents in Maine, using evidence-based programs, in a collaborative education and practice model. The grant will be used to complete needs assessment research in collaboration with Maine Veterans’ Homes, under the guidance of the University of New England and the University of Maine. The goal of the research is to identify gaps and barriers in oral health education in long-term care settings. “We know that people cannot achieve optimal overall health without a strong oral health foundation and we are pleased to support Lunder-Dineen’s important work through the MOTIVATE initiative to help improve the oral health of Maine’s long-term care population,” said Crystal Carroll, manager of community relations at Northeast Delta Dental. To learn more about MOTIVATE: lunderdineen.org/oral-health-motivate. The identification and management of pain remains an important part of the patient-centered care nurses provide each day. This presentation reviews evidence-based approaches to assessing and managing patients with pain; emerging methods for developing, implementing, and refining a pain treatment plan for patients with difficult-to-control pain; and tools being used to monitor the quality and safety of pain control. This program is intended for registered nurses. Abuse of “bath salts” — the street name for a number of illicit drugs that contain cathinones — has been a critical health care issue in Maine over the last several years. Bath salts look similar to epsom salts and have effects similar to cocaine and amphetamines. 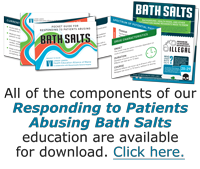 This session provides emergency first responders, law enforcement, clergy, and health care clinicians with a thorough, evidence-based review of bath salts use, emergency management guidelines, and prevention strategies. This activity is designed specifically for health care providers in clinical settings. Don't forget: Lunder-Dineen is on Facebook, Twitter, Instagram, and YouTube, and we would love to connect with you. Follow us on social media to see what we're up to! Check out our new and improved course catalog! To learn more about Lunder-Dineen and our free education offerings, visit lunderdineen.org. To collaborate with us on education, contact Denise O'Connell, Senior Program Manager, 207.747.3448 or denise@lunderdineen.org.